First of all, Selamat Hari Merdeka (Independence Day), and congratulations Malaysia for hauling in a record number of SEA Games Gold Medals. So much so that our government has declared next Monday (4th September) as a holiday for….celebrating? I am all great with achievements, but at the risk of sounding like a spoil sport – aren’t we having a wee bit too many holidays? It’s great for morale I suppose, but it’s not so great for business due to the start-stop nature of things and worse, when we are chasing down a compliance deadline for our clients. In fact, approaching the end of the year, the amount of compliance work we are faced with is absolutely daunting. Which is why it has taken so long for an update on this blog – not because it is low priority, but because we were just chasing so many deadlines in August, and now in September all the way to Christmas. It’s going to be a fun ride to the end of this year for sure. Now as we approach our March 2018 deadline, we are getting more and more travel agencies calling us up on the IATA PCI-DSS requirements. While these are generally smaller agencies, we have come up with a standard package that addresses specific agencies with specific requirements. These are reasonable conditions for us to consistently approach each agency. See the problem is not so much that travel agencies are complicated – it’s because we have a whole lot of agencies with a very short deadline. We advocate that the whole industry and QSAs, Consultants or PCI experts all work together to get these agencies up to speed. The first hurdle of cost prohibition is passed. Previously we all thought (based on the wordings) that IATA requires all agencies to have the QSA sign off on section 3c of the SAQ/AoC document, effectively rendering all Level 4 merchants to be Level 2. Obviously that would cost more as Mastercard requires Level 2 assessments from QSAs to be carried out onsite as opposed to remotely. That won’t be feasible due to the amount of agencies. Once it becomes more of a consultancy and advisory as opposed to an audit, it makes more sense. We are not saying QSAs should not get involved – we are saying now agencies have more options on their table – if QSA is affordable then by all means. Secondly – storage of PAN. This is a real pain. Especially for travel agencies. You may think that you don’t store the PAN, the infamous Primary Account Number, that 16 digit on your credit card (remember, truncated PAN, or what we know as “First Six Last Four” or “Last Four” where the other numbers are X’ed out – this is NOT PAN)- even if you don’t formally store PAN as your process, the fact that you receive PAN in email, or Whatsapp or Skype or Wechat or QQ – anything at all – this translates to PAN being brought into your environment. Unless you are interested to secure your handheld devices and laptops and desktops and email servers – we suggest that you have only formal channels of card acceptance. Via Phone is one way. Through a secure portal is another way. The problem is compounded due to Credit Card Approval Forms (CAF) or Credit Card Charge Forms (CCCF). These are formal forms either from the agency or from IATA to collect details of transactions, inclusive of credit card. 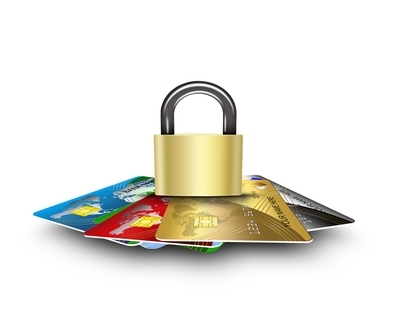 IATA, however, has taken pains to ensure their channel is PCI certifiable and has since removed the requirement for CCCF to contain credit card information in full, as well as providing electronic alternative to CCCF submission via GDS. They are, in essence, securing their channels. What about travel agencies own CAFs? This is not in any regulated form and even sometimes we see CVV information being required in these forms. This obviously is not allowed, to the genuine surprise of some agencies. Like the CCCF, either these forms need to be secured, or the channels in which information is provided needs to be secured. This is one of the challenges being faced. Thirdly, the fact that IATA allows for self signed SAQ eases up the pressure of getting an audit in. However, in theory, the agency still needs to go through the same amount of due diligence to ensure they are fully compliant. Audit or no audit, there is no excuse of marking down “Compliant” in the SAQ for a question that you have no clue about. One client actually marked down compliant for “IDS” thinking this meant Internal Distribution System, which he thought was another name for GDS. Seriously. We don’t blame them. We blame the entire technology community for coming up with these acronyms that can sometimes be frustratingly flabbergasting for the general public to understand. Lastly – the GDS. The ones we have experience with are Sabre, Travelport-Galileo and Amadeus. We come across some older ones but in general, these are the three main ones utilised by travel agencies. All of them as far as we know are PCI-compliant. We only have ever seen the AoC from Travelport. Sabre and Amadeus in turn provides our clients with some weird certificates by QSA or other documentation that is not AoC. Again, it’s just completely irritating when providers give these so called ‘certificates’ and argue with us that this is acceptable to PCI and we have no idea what we are talking about. It’s mind numbingly, teeth-gnashingly frustrating. The GDS channel is general is secured. As long as credit card information is sent to the GDS mainframe you are more or less done. The problem is whether the desktop client is an actual application or just serves as a web gateway to the mainframe. This is where we are juggling between SAQ C or SAQ C-VT for this channel. We have gone through the Sabre Red Workspace and Galileo Desktop, and either of these cannot function without internet connectivity, and all information traverses through a TLS link to the mainframe of the GDS. We have done packet capture on these applications and while not traditionally considered as ‘web browsers’ in what we are used to, the functionality of it is similiar to a web based client. Even Travelport AoC states that the ‘travelport application client’ is covered under its compliance. In essence, these are virtual terminals in every understanding of the term. While rare, the internet channel is probably the most straightforward, whereby an SAQ A should sufficiently cover most agencies, since they are utilising a payment gateway and not processing, transmitting or storing credit card information in their own environment. In summary, the challenges faced mainly by agencies is not so much on the security of BSP or GDS channels, but their own. The credit card forms remain a pain, not so much of the forms itself but the channels in which the forms are sent or received. This forms a very real challenge in securing based on PCI-DSS requirements. Of course, we have also recently encountered another massive hole in the travel agency PCI program – if you are doing “enhanced data services” with any of the card brands and exporting through a system like Sabre Powersuite, you have another headache in your hands: Clear PAN. We will go into this in a later post. Suffice to say, we have a lot to do, with little time to do so, so it’s time to get cracking. Drop us an email at pcidss@pkfmalaysia.com and we will see how to get you started with your PCI-DSS program. This entry was posted in IATA, IT Audit, IT Compliance, IT Security, PCI-DSS, PKF Avant Edge and tagged bsp, gds, iata, PCI-DSS, travel agencies by pkfavantedge. Bookmark the permalink.